Debut single from an Australian coterie headed by esteemed Lucksmiths vocalist and percussionist Tali White. On the title track, Tali is joined by Candle Records star Richard Easton plus members of Sodastream and Art of Fighting to create a wonderful racket with guitars and drums and handclaps that you can't get out of your head. This three-song EP also features acoustic tracks "A Faraway Place" and "Cornflakes" which showcase Tali's signature voice and are simply lovely in a Sugargliders-sort of way. 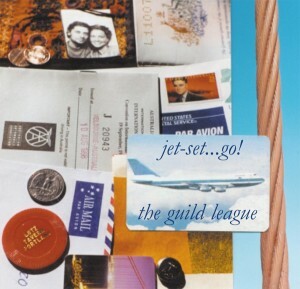 An album entitled "Private Transport" is scheduled for release later in the year, but you'll want to get hip to the Guild League now because this one's limited to 1000 copies.